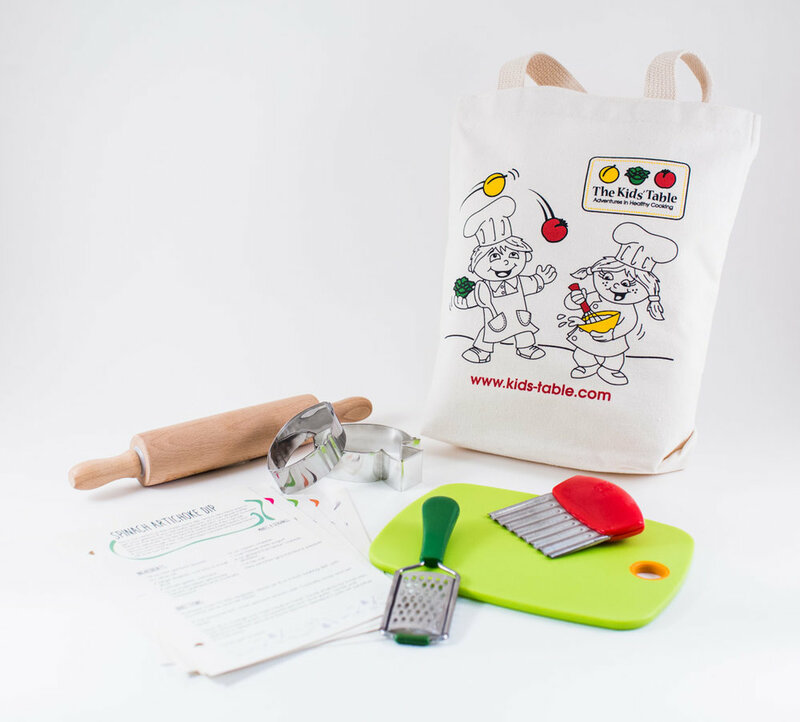 Our cooking kits have everything you need to bring The Kids' Table cooking experience to your kitchen at home. 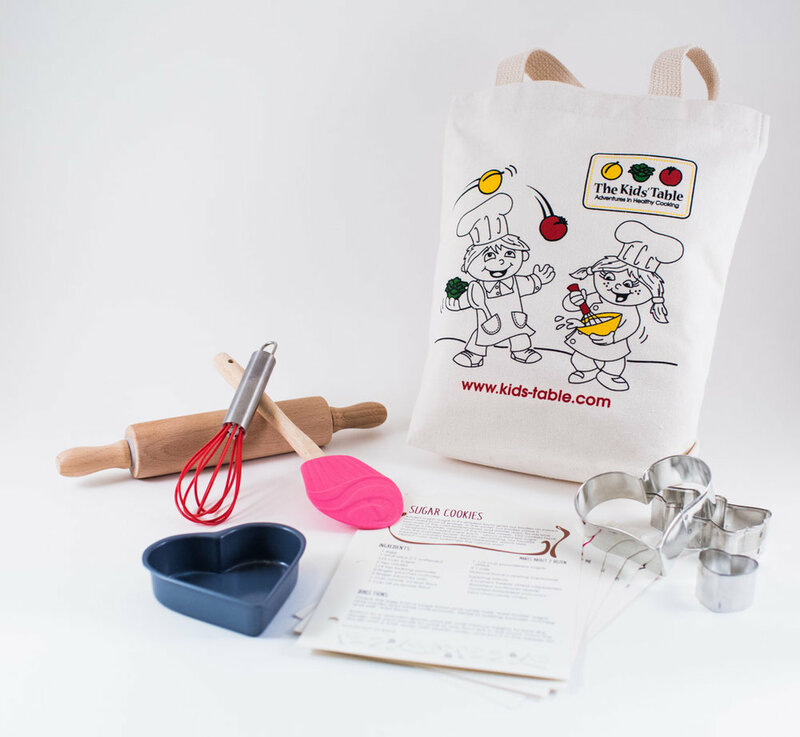 The ultimate gift for the eager chef in your life! 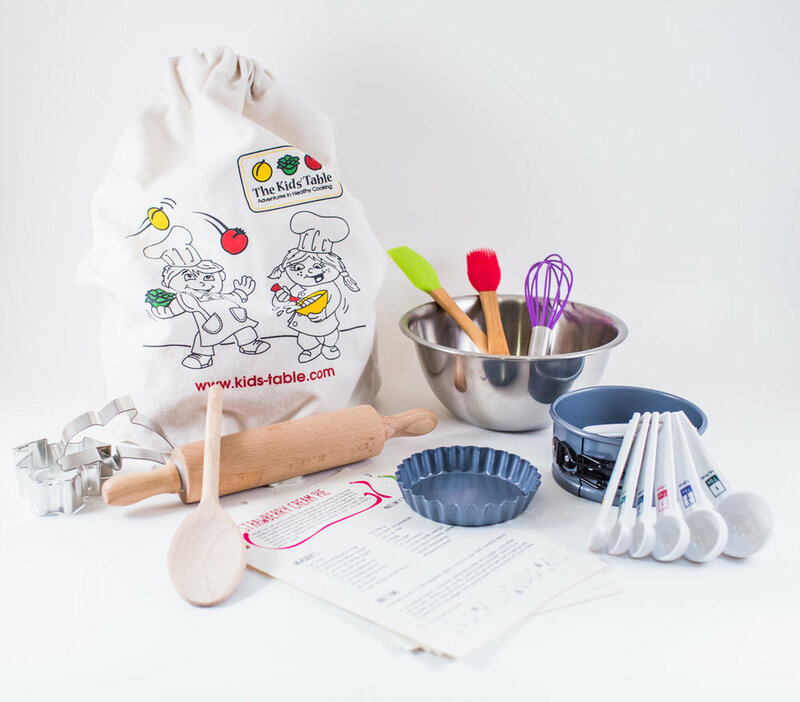 Each themed kit includes a handy canvas tote, The Kids’ Table’s favorite recipes, and specially selected pint-sized cooking tools to get the job done right. 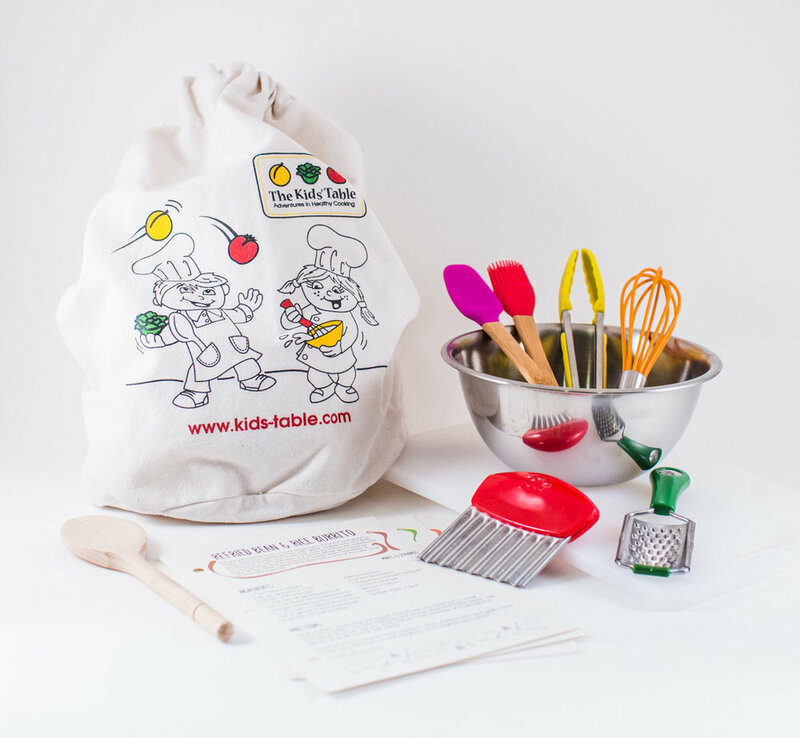 Great for all ages, from tots to tweens!